Welcome back to Day 2 of my 3 Day, 3 Quotes Challenge! I was tagged by Valerie over @ Little Dutch Bookshop. Thanks for tagging me! You guys should check her out, she’s awesome! 3. Nominate 3 new bloggers each day. No matter the hardships that push you down in life, always know that there is always someone out there that loves you. When I came out in high school, I thought the world would collapse on me. 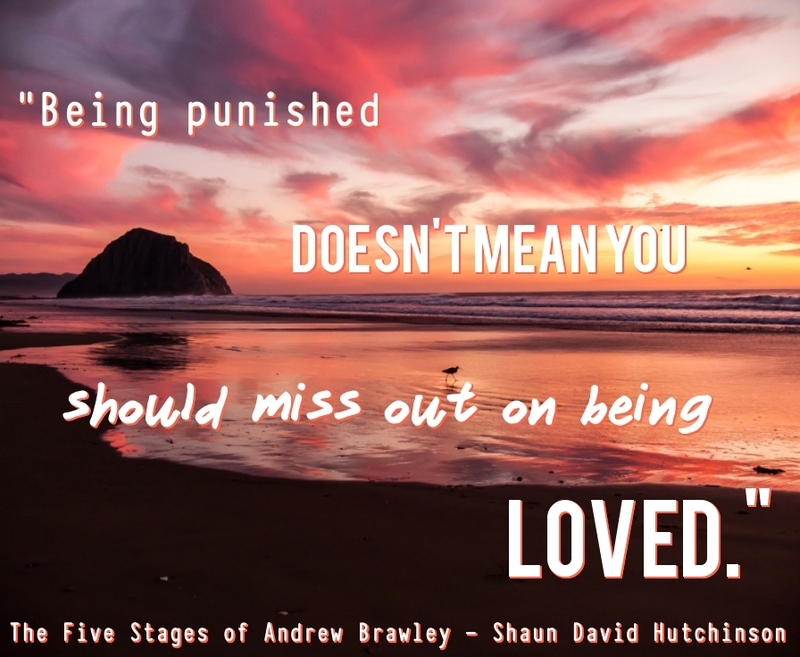 I was punishing myself for not having control over what I was. It wasn’t until I realized that my family still loved and supported me, that I stopped punishing myself and started embracing who I really was. So the next time you think you want to go down and tap out of your life, remember the people that love and care for you. Well there you have it, my second quote of the challenge. I hope you enjoyed and leave a comment if you connect with this quote. This entry was posted in Tags & Misc and tagged Misc., Shaun David Hutchinson, Tags, Young Adult. Bookmark the permalink. That’s a beautiful quote! Definitely one to remember!